Facebook or Twitter…where should hotels focus? While hotels know the benefits of social media engagement, with limited time and resources it is best to have a focused approach to your engagement choices. By the numbers, Facebook and Twitter are the obvious leaders in social media participation but there are a few surprises when you consider which social channel deserves more time and attention. Should hotels focus more on Facebook or Twitter? I often hear the perception that Twitter users are younger, less affluent, and less likely to buy than Facebook users. However, actual demographic data does not support this theory. Here is some demographic information for each social network. It turns out that Twitter users are 1/3 more likely to be college educated and more likely to be making over $75K per year. It is also worthwhile to note that both websites claim about 13% of their users make over $100K per year. However, disposable income is only one part of the equation when considering Facebook vs. Twitter. Purchase likelihood is also important. Twitter offers a much higher rate of purchase by its users than Facebook. According to Digital Surgeons about 67% of Twitter users will buy from a company that they follow. On Facebook, only 51% of users will buy from a “Liked” business or brand. While this information is based on all industries, it shows that hotels with a high level of repeat business might benefit more from Twitter. Another factor to consider is the community mindset for both sites. Where Facebook is used to connect with friends, Twitter’s micro blogging format is used to create and share with friends, as well as people you don’t know personally. This subtle difference can influence how your business is mentioned on these social channels. For example, I sometimes see Facebook friends discussing personal details that may mention a product or brand that they admire or despise. On Twitter, I see many more tips regarding how to use things, praise for superior products, or scorn for disappointing ones. This may come from the high levels of engagement on Twitter (57% tweet daily), but it may also come from the ease of re-tweeting. Compliments and scorn on Twitter have far more viral potential than on Facebook where a post is mostly limited to friends. Hotels who are engaging on Twitter are finding many more opportunities to perform service recovery than they are with Facebook. Emarketer reported in 2011 that 77% of hotel and airline Twitter accounts experience customer service enquiries and complaints. Only 46% of Facebook accounts dealt with customer service. It appears that more customers are engaging on Twitter in real-time to get their service issues resolved. It is critical that all businesses on Twitter be prepared for this. Again, our friends at Hyatt were able to make a very high profile customer service save, this time in New York. Chipper Jones, from the Atlanta Braves, tweeted to his prolific following that his A/C and movies did not work. Within minutes, the Marketing/PR coordinator and the Grand Hyatt saw the tweet and the increase in social mentions in Revinate and contacted the front desk manger. The following is the tweet that Mr. Jones posted after his issues were handled. For example, you could set up a simple Pay-per-Click ad on Facebook with a birthday staycation offer for locals in your area within a week of their actual birthday. This could be a great way to drive last minute business during slow periods. Facebook also allows for a fully integrated booking engine for Hotels. L2 reports that 64% of the hotels studied had either full or partial Facebook booking. Furthermore, hotels with a booking engine on Facebook sent about 50% less traffic to online travel agencies. Facebook does not yet allow for targeting based upon post content. So a post asking friends where to stay in New York, would not allow New York hotels to target ads to that user. However, on Twitter, that question would be public so a tool like Revinate could highlight that tweet and publish it to your hotels social media dashboard for quick response and an offer. Twitter is farther behind Facebook in the sophistication of their advertising options that could be useful to properties. Promoted tweets allow you to position tweets to be seen by your followers and those like your followers. There is some geographic targeting but other options are limited. Promoted accounts can help you build a community of followers by listing in the Twitter search results and the “Who to Follow” section, which will highlight your handle for those who have shown interest in similar businesses to yours. The company has launched promoted trends but this marketing vehicle is better suited to brands and mass marketed products rather than individual properties. Booking conversion is also where Facebook holds an edge. I have seen reports of ad conversion from Facebook at as high as 4%, and Twitter also claims a 4% click through rate on all links. The difference is that Facebook’s 4% is attributed to ads, where Twitter includes all links from tweets in their calculation. This means that the actual conversion rate on marketing tweets could be much lower. 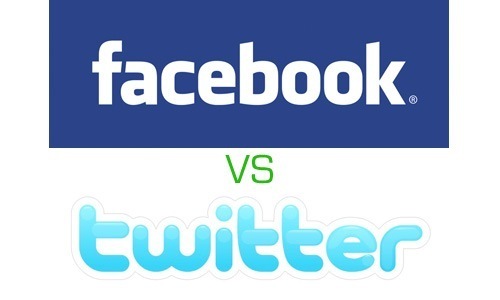 The Facebook vs. Twitter choice should be made based upon your time and resources. Revinate can make managing both communities easier which can help a resource strapped hotel benefit from the advertising strengths of Facebook and the open forum benefits of Twitter. Either way, hotel brands and individual properties are landing significant business through social media channels. Social media engagement is also becoming a major driver for website referral traffic. Shareaholic reports that in 2012, three of the top nine referring sites were social media sites. Facebook referred about 6% of all traffic on the web, more than Yahoo and Bing combined. Regardless of the direction that you choose, social media engagement can be an important factor in driving eyeballs to your site.